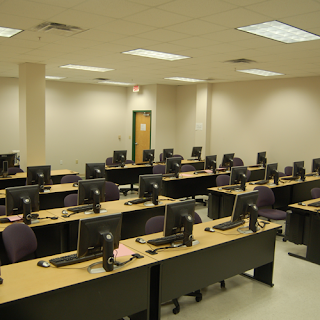 Picture: STC Pecan Campus opens GED Testing Center. South Texas College is making it easier than ever to take the next step in earning a college education. For those who were not able to complete high school, STC is now an official testing site for General Education Development (GED) Tests. For just $70, an applicant can take all five tests including reading, writing, math, science and social studies, or pay per test to take individual exams. The tests will be offered at the college’s Pecan Campus Students Service Building (Building K) located at 3201 West Pecan Blvd. in McAllen. STC’s GED Testing Center is open Monday through Friday from 8 a.m. to 5 p.m. The first GED tests at the center will be given on Monday, July 19, 2010. GED test applicants must provide proof of identity and Texas residency before being permitted to take the GED tests. Testing is available for Texas residents age 18 and older. Residents who are 17 years old may test only with parental/guardian consent and the TEA withdrawal form, and residents who are 16 years old may test only under court order. Special test accommodations are available for applicants with certain physical or learning disabilities. The tests are offered in English and can be taken only three times per calendar year. For more information about taking GED Tests at STC or other tests available through STC’s Student Assessment Centers call 956-872-3484 or visit http://studentservices.southtexascollege.edu/testing/index.html.